The EV world has a new long-distance champion. After a few sneak peeks during the LA auto show, Lucid has finally ripped the camouflage off its luxury electric sedan: the $100,000-plus Air. The luxury vehicle is taking aim not only at Tesla's Model S but also traditional gas-powered cars like the BMW 7 Series and Mercedes-Benz S-Class. The company is expected to start production in 2018 at its Arizona factory. Today's event showed both what the luxury car looks like as well as its battery pack -- the largest in the automotive world. 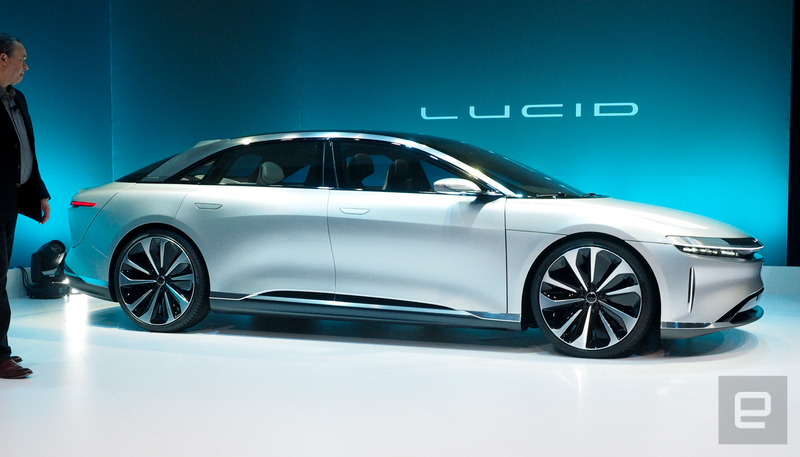 The standard Air comes with a 100 kWh battery, the same as what Tesla currently uses in the Model S, but Lucid also plans to offer a 130 kWh option. According to Lucid and its energy partner Samsung SDI, that car has a range of 400 miles per charge. The company said the Air will fill the luxury, sports car and commuter needs of drivers. When it comes to power, each electric motor outputs 600 horsepower. That powertrain has been integrated with the HVAC and suspension system in the front of the vehicle. The rear wheels get the same set up with an integrated transmission, motor and suspension. 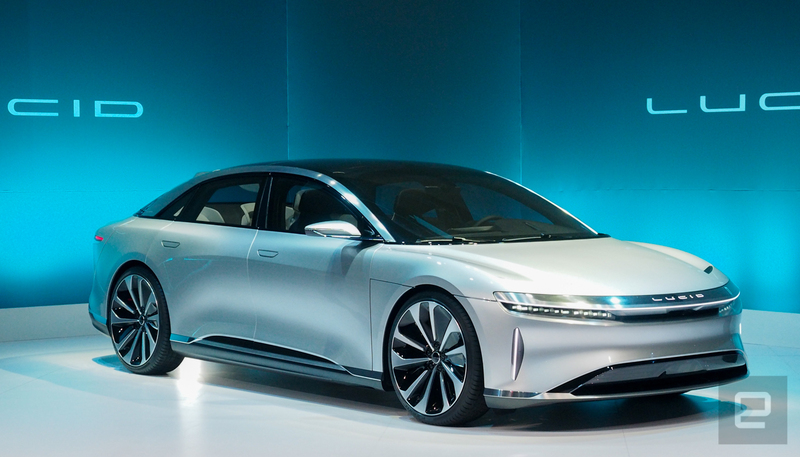 By pacing everything together, CTO Peter Rawlinson said the car has more seating capacity since everything is pushed to the edges of the car. All those motors are pushing a combined 1,000 horsepower with a zero to 60 MPH of 2.5 seconds. The Air is also autonomous-ready with short and long range radar, cameras and Lidar. Some of those self-driving features will be available at launch but most will be added later via over-the-air updates. Of course, the tech doesn't stop there. Like most luxury cars it also has a companion app. It also uses voice control like the Amazon Echo or Siri to control aspects of the inside of the car. Naturally, the Air is a luxury car with the price to match. 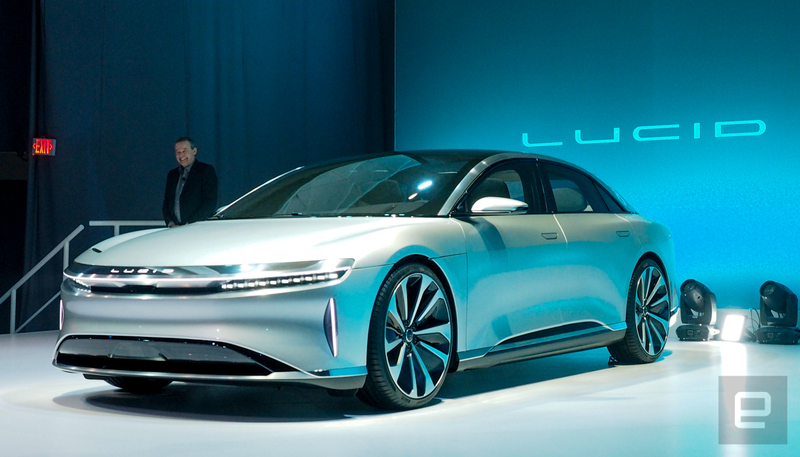 Lucid says a well optioned model will cost more than $100,000 but that an $65,000 model will be produced in the future.